Director – Sam Liu, Screenplay – Dwayne McDuffie, Based on the Graphic Novel by Grant Morrison & Frank Quitely, Producer – Bruce Timm, Music – Christopher Drake, Animation – Moi Animation Studio (Supervising Director – Yun-Jae Ko). Production Company – Warner Bros. Animation. Superman goes to the aid of a solar research expedition of Dr Leo Quintum as Lex Luthor attempts to sabotage it by causing a clone of himself he has placed amongst the crew to go amok. Superman saves the expedition and Luthor is arrested. Superman then realises that Luthor has manipulated the entire situation in order to have him dosed with massive amounts of solar radiation. Quintum analyses Superman’s cells and reveals that the dose of radiation is now causing him to die, although has also given him a new range of powers. With the knowledge of his pending mortality, Superman chooses to reveal to Lois Lane that he is Clark Kent. He takes her on a tour of the Fortress of Solitude and gives her a birthday present of a serum he has distilled from his own DNA that grants her superpowers for one day. As they fly together, Lois is wooed by two time-travelling superheroes Samson and Atlas. With his remaining time, Superman goes on a two-month journey to relocate the miniaturised Kryptonian bottle city of Kandor on another planet. When he returns, he finds Earth has been invaded by two Kryptonian survivors who are using their powers to subjugate humanity. Luthor is sentenced to the electric chair but has taken his own superpower serum and emerges invincible. Meanwhile, he has unleashed the solar super-computer Solaris to attack the sun. All-Star Superman is one of the DC Universe Original Animated Films from producer Bruce Timm. Timm began by adapting various DC Comic superhero to the tv screen with Batman (1992-4), Superman (1996-8), Batman Beyond/Batman of the Future (1999-2001), Justice League/Justice League Unlimited (2001-5) and Green Lantern: The Animated Series (2011-3). He began to expand these as films starting with the theatrically released Batman: Mask of the Phantasm (1993) and a host of other Batman video releases. He then went onto the series of DC Universe Original Animated Films with Superman: Doomsday (2007) and the subsequent likes of Batman: Gotham Knight (2008), Justice League: The New Frontier (2008), Green Lantern: First Flight (2009), Superman/Batman: Public Enemies (2009), Wonder Woman (2009), Justice League: Crisis on Two Earths (2010), Superman/Batman: Apocalypse (2010), All-Star Superman (2011), Batman: Year One (2011), Green Lantern: Emerald Knights (2011), Batman: The Dark Knight Returns Part I (2012), Justice League: Doom (2012), Superman vs. The Elite (2012), Batman: The Dark Knight Returns Part II (2013), Justice League: The Flashpoint Paradox (2013), Superman Unbound (2013), Batman: Assault on Arkham (2014), Justice League: War (2014), Son of Batman (2014), Batman vs. Robin (2015), Justice League: Gods and Monsters (2015), Justice League: Throne of Atlantis (2015), Batman: Bad Blood (2016), Batman: The Killing Joke (2016), Justice League vs Teen Titans (2016), Batman and Harley Quinn (2017), Justice League Dark (2017), Teen Titans: The Judas Contract (2017), Batman: Gotham By Gaslight (2018), The Death of Superman (2018), Suicide Squad: Hell to Pay (2018), Justice League vs The Fatal Five (2019) and Reign of the Supermen (2019). Most of the DC Universe Original Animated films are based on celebrated graphic novels. Indeed, these graphic novel adaptations seem to come at far more of an adult pitch in terms of their writing than the children’s films they end up being sold or perceived as. 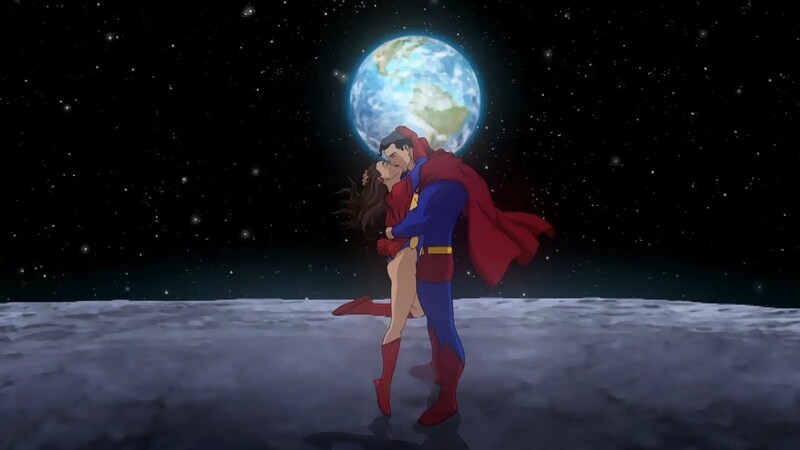 In this case, All-Star Superman is adapted from a graphic novel series that DC began with the intention of allowing writers to interpret the characters and canon in ways that stood outside of regular DC continuity. All-Star Superman, written by Grant Morrison, was the second of these, appearing in a twelve-issue run between 2006 and 2008. Unfortunately the All-Star series was killed off by All-Star Batman and Robin the Boy Wonder, the first of the series published in nine issues between 2005 and 2008, which was the target of overwhelmingly negative criticism due to Frank Miller’s turning Batman into a murderous killer and showing him abusing Robin. By contrast, All-Star Superman gained a great deal of critical acclaim – however, DC discontinued the All-Star series in 2008. The film remains faithful to the original Grant Morrison graphic novel. Morrison (and resultingly the film) takes a number of liberties with established DC Superman canon – the death of Superman, he revealing his secret identity to Lois Lane and they engaged in a relationship. The main problem with the film is that it is condensing a twelve-issue comic-book into a 73-minute film. The original comic-book had a number of different plots happening throughout these and in remaining faithful to them the film often feels like it is quickly jumping from one story to another – adventures involving Lois being granted superpowers and then being wooed by two time-travelling superheroes Samson and Atlas and they fighting the Ultra-Sphinx and lizard men from the centre of the Earth; The Parasite getting free and going amok as Clark visits Lex Luthor in prison; the two Kryptonian survivors arriving on Earth and using their superpowers to subjugate humanity; the super-computer Solaris devouring the sun; Lex emerging from the executioner’s chair with superpowers and he and Superman going head to head in combat. There is less the feeling that All-Star Superman is telling one giant-sized plot than it is trying to cram in different episodes that each filled one issue of the comic-book. As a result, it frequently seems too hurried and sprawling. (The other complaint that one might make of these DC Universe Animated Films is that they seem to have a major aversion to filling up a full 90 minutes of running time and seem to constrict themselves to either 75 or just over 60 minute timeframes). The plus side of the film is that it contains some excellent writing, especially when it comes to the familiar characters. The script comes from Dwayne McDuffie, an African-American comic-book writer known for his drive to credibly represent racial minority characters in comic-books. He also created the tv series Static Shock (2000-4) and Ben 10: Alien Force (2008-10). McDuffie does a fine job of getting inside Lois’s reaction and feelings of betrayal over how Superman/Clark has been fooling her for years. 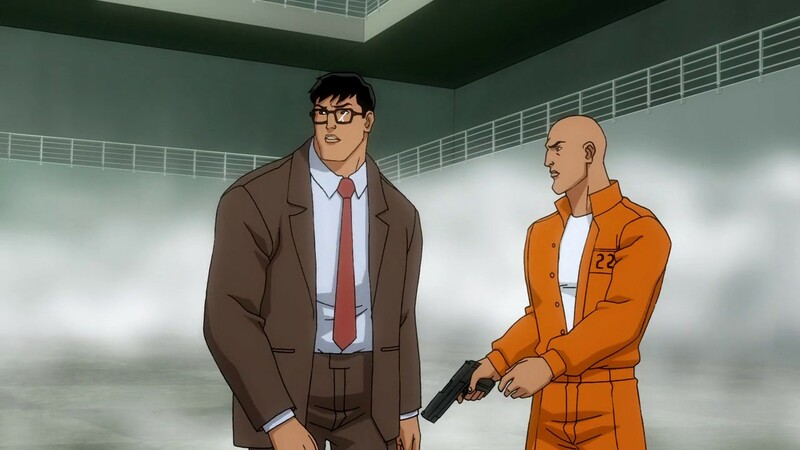 Especially good are the scenes where Clark goes to interview Lex Luthor in prison with Luthor comparing Clark to Superman and talking about his superiority. There is also a fine climactic scene where Superman demonstrates to Luthor the inter-connectedness of all things and departs leaving Lois with the possibility of children. I have never been a huge fan of Sam Liu’s work on the DC animated films, his previous solo outing Superman/Batman: Public Enemies being one of the weaker films in the series. That said, he does an extremely good job on All-Star Superman. He has a good deal of fun on the tour of the Fortress of Solitude, demonstrating its wonders, including a rebuilt space shuttle, a reconstructed deck of the Titanic, which Superman and Lois dine on, technological marvels like a Time Telescope that allows communication with one of Superman’s descendants and a pet Sun Eater, as well as Superman having his key for the door of the Fortress (hidden under the doormat naturally) made of dwarf star material, which no other human is able to lift.